MiCAFE (Michigan’s Coordinated Access to Food for the Elderly) on the move in Southeastern Michigan! 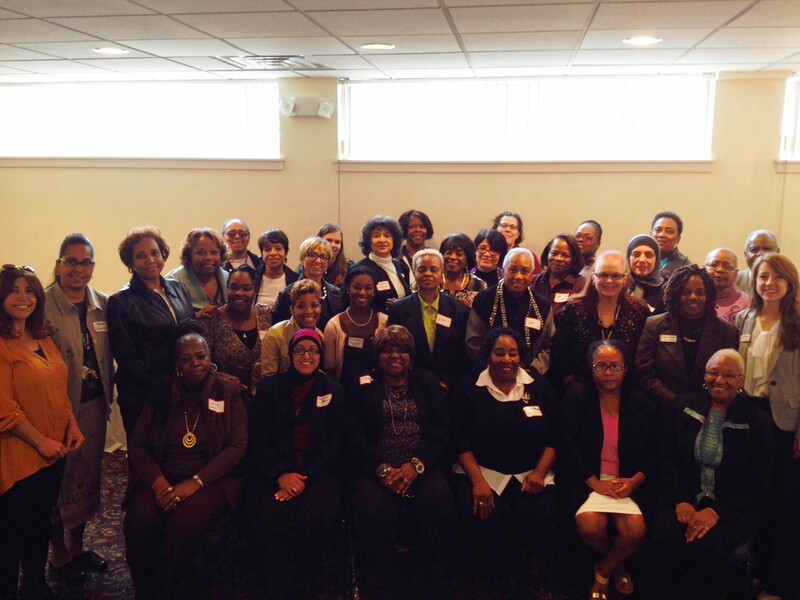 Elder Law of Michigan launched Mi-SOAP (Michigan’s Support for Older Adults Portal) on October 1, 2014. Mi-SOAP is a tool used by MiCAFE community partners across Michigan to screen their clients for benefits and help them apply, with support from our team, all within one system. The launch of Mi-SOAP spurred my quest, as a relatively new team member, to visit all of our Southeastern Michigan MiCAFE community partner sites and meet our wonderful Application Assistants. Since October, Mi-SOAP trainings have been conducted at eight organizations in Southeastern Michigan, with close to 100 application assistants, representing more than 26 community partners, in attendance. In addition to being on the road with MiCAFE trainings and outreach, our Southeastern Michigan MiCAFE Team has been busy moving to our new offices in Detroit, hosting our MiCAFE community partner Lunch and Learn at the Ukrainian Cultural Center, and adding a new staff member, Pat Gray Hill, to our team along with Cappie Williams, MiCAFE Community Partner Liaison, and Shirley Brown, Project Healthy Living Coach. Thank you Community Partners for hosting these trainings! The Southeastern Michigan community partner Lunch and Learn was held on October 29 at the Ukrainian Cultural Center in Warren, MI. More than 40 volunteers representing 24 community partner organizations attended the luncheon. We held a competitive and fun MiCAFE Jeopardy Game to review program history, program updates, and public benefit policy. Lindsay Felsing, Director of Economic Security, was our very own game host. Congratulations to Team A, Jeopardy champions! Prizes were personally delivered by our team to the winners. We appreciate all of our application assistants who were able to attend and missed those who could not attend. We could not do this work without our community partners! This is a quick update of what has been happening since October, but look for my closer look at our many MiCAFE sites and volunteers as I bring you MiCAFE On The Move in 2015! So, look for me and the rest of our Southeastern Michigan MiCAFE Team coming to you for trainings, support, and outreach! If you would like to become a MiCAFE Community Partner, please contact Lindsay Felsing at lfelsing@elderlawofmi.org. If you or someone you know is having a hard time making ends meet, please call MiCAFE at our toll free number, 1-877-664-2233. MiCAFE is supported by the United States Department of Agriculture, Michigan Department of Human Services, Office of Services to the Aging, and the National Council on Aging. MiCAFE partners with community based organizations to conduct outreach and provide application assistance for the State of Michigan Food Assistance Program and other benefits. If you would like more information on how to become a MiCAFE partner, please call the MiCAFE Call Center at 1-877-664-2233. Harriet E. Harris, J.D. is the Regional Manager of MiCAFE. She joined ELM in May 2014. Harriet received her Bachelor of Arts in Communications from the University of Detroit and graduated with her Juris Doctorate from Wayne State University in 1982. 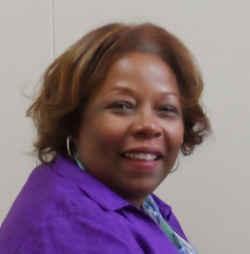 Before joining ELM Harriet worked in the family court as a referee for 22 years, then in 2010 became a certified mediator, mediating in the district courts and public schools. Most recently in 2012 she became a service coordinator in a senior cooperative apartment with the Luella Hannan Foundation.